Nearly half of all smartphones sold during the second quarter of 2018 had a wide display, as advances in screen technology reduce cost and increase availability. 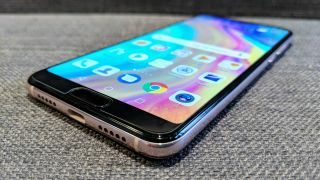 Analysts at IHS Markit say that 45 per cent of all handsets sold over the three-month period had a wide display, a figure which increases to 50 per cent among the 19 biggest manufacturers. The LG G7 was among the first to start the shift away from the 16:9 aspect ratio, with other flagship devices following suit. However lower component costs mean that wide displays are becoming common in cheaper segments of the market too. Coupled with narrow bezel designs, the average size of smartphone displays is increased. It had been thought there was limited demand for devices larger than six inches, but these are seen as acceptable so long as the phone maintains a compact form factor. In the second quarter of 2017, just two per cent of all smartphones sold were larger than six inches. That figure is now 23 per cent. However, this trend comes at the expense of dual camera technology adoption. More than two thirds of the world’s smartphones are priced at $250 or less and the cost of including upgraded display and imaging capabilities is prohibitive for devices in the mid and low range segments. Manufacturers are more likely to upgrade the display than the cameras because there is a clear benefit to consumers. However, like most innovations, dual camera tech will trickle down as components become cheaper.